Brexit shambles continues apace. That overused phrase of politicians going forward is not applicable to the current state of Brexit negotiations which appear to consist of nothing more than each side eyeballing the other. And is that a nervous tic on the collective face of Britain’s farmers I detect? A cursory riffle through May’s fantasy Brexit filing cabinet only as far as A for agriculture reveals something of the complexity of the task ahead, as a politician might say. For an outsider like me it was hard to understand why so many farmers and landowners were quite so keen in voting to leave the European Union and the increasing murmur from these bodies suggest one or two are becoming a little bit sweaty that the future is not as rosy as it appeared when they voted to leave the reviled EU. But hope emerged for some in the guise of the ambitious Michael Gove with his promise of a ‘green Brexit’ and promise, if qualified, of continuing subsidies. He is not the first person I associate with a commitment to green policies and suspect the green he’s contemplating is a fig leaf and his ‘earned subsidies’ is an early warning that not all will be as it was under CAP. That it was never on the cards that the generous EU subsidies would continue post-Brexit either didn’t occur to Brexiteer farmers or else they assumed the British government would step in and fill the void left post-CAP – such blind faith. The NFU Scotland talk of making farming and crofting more profitable but just what that will mean is anyone’s guess – family farms already operate with minimum labour comprising mainly of the farmer and any family he or she has – working from before dawn until late into the night seven days a week. How that could become leaner is not apparent. Food prices could rise, as they are doing, bringing about even more squeeze on farmers by supermarket chains. Where does that leave Scotland’s crofters and hill farmers already eking out scant livings? How persuaded will Mr Gove be that they are deserving of financial support once that falls into Westminster’s lap? Farming subsidies were introduced in the UK a century ago by the government concerned by severe food shortages during the First World War when 60% of food was imported. Minimum wages for those involved in agriculture and guaranteed produce prices were imposed until 1921 and during the 1930s protectionism was again high on the agenda. 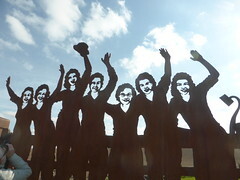 At the end of World War Two government intervention guaranteed payments to farmers to encourage an expansion in food production while rationing continued long after the end of war. The CAP worked well. Too well. It led to a grim landscape of beef, butter, fruit and vegetable mountains and wine and milk lakes as a means of keeping up prices for farmers. Some of this food was simply destroyed to maintain food prices at acceptable levels and some was dumped on poorer countries at a cost to their small-scale farming which could not compete against the collective might of the protected farmers within the EEC. When I looked at who are recent recipients of the EU’s agricultural subsidies I was astonished to find not only was it a list of the ultra rich but topping the list of payout recipients was sugar manufacturer Tate & Lyle. Along with the British sugar giant were French sugar giants, Spanish sugar giants, German sugar giants and a lesser giant from Poland. Sugar processors have attracted much criticism for their contribution to junk foods and their association with the huge rise in diabetes and because of pressure placed upon these industries in Europe to reduce their output they have been amply compensated by CAP subsidies. Dairy companies have also been winners in the great EU scoop a fortune lottery. Along with sugar they are implicated in the junk food market and have attracted the attention of aid agencies for being supported at the same time they are dumping milk powder and butter on vulnerable markets and consequently undermining small producers in poorer nations. In Scotland Balmanno Farms Ltd are lucky recipients of EU subsidies- qualifying for quite a bit in subsidy. Their ultimate parent company is Streetfield Property Company of the same address, presumably property developers. What struck me was the number of recipients of public handouts who don’t sound like the everyday image of our local farmers: Broadway Tower Country Park Ltd; Execs of the Late Mrs C Campbell, Isle of Sky; Gisburne Park Estates Ltd; J and V Casey and son Ltd of New York – hang on a minute – New York? There is it appears a New York in Lincolnshire. Because of difficulties some farmers have surviving by traditional agriculture diversification is encouraged and rewarded: rented out land; farm shops; tourism; woodland; improved land management so while Highland Grain Ltd of North Kessock a cooperative mainly made up of Black Isle and Easter Ross farmers who grow malting barley for whisky and get considerable amounts of cash from European Agricultural Fund fall firmly into the category of genuine farmers Flamborough Holidays Ltd must surely fall into the diversity grouping also attracting aid. Likewise Tongue and Farr Sports Association at Bettyhill, a community venture running a pool, spa, sauna and fitness suite in the north of Scotland. As for O’Neill’s Caravan your guess is as good as mine – and the same goes for Shield Engineering Syston Ltd. Then again Hound Parish Council at somewhere called Netley Abbey, Southampton appears along with The Royal Farms Windsor. Hello? What? The Queen picks up loadsamoney through her Sandringham Farms. Trawling through the CAP list is time-consuming for it is very, very long with no fewer than 19,613 recipients listed in the UK and not a few, in fact quite the reverse, millionaires and zillionaires which suggest the EU CAP system is something of a money printing press for powerful agencies. One in five CAP handouts goes to toffs. The last thing you might imagine a Saudi prince really needed was a cash handout from the people of Europe but that’s because you aren’t a Saudi prince. Prince Khalid Abdullah al Saud has expensive pastimes – breeding racehorses and hobby farming on his Juddmonte Farms (registered offshore in Guernsey.) He enjoys CAP pocket money of around £400,000 a year. Who is/was – delete as appropriate – the richest landowner in the UK? Easy question – it is of course the Duke of Westminster and wouldn’t you know it he is on the list as is vacuum cleaner man Sir James Dyson – sorry, the billionaire Dyson. Why? From my neck of the woods is Frank A Smart who has done very nicely out of EU subsidies. He is described in the local press as a slipper farmer for he buys up land with subsidies attached and there is nothing at all illegal about this. On being questioned over the huge sums of money he receives each years Mr Smart replied to BBC news, “I don’t want to discuss any part of my business with the media, thank you.” And why would he. Farming in the UK is struggling if figures are to be believed and the average farmer, whatever that may be given who appears on the CAP list, could not survive without hefty payouts. Figures for last year indicated that the average farm made £2,100 from farming and £28,300 from subsidies. In Scotland the average farm (excluding pig and poultry) made £23,000 profit from their business in 2014/15 which includes subsidies. They lost c £21,800 on agriculture but took in £39,900 in subsidies and other payments. I noticed this year farms around Alford were ploughed and sown right up to dykes and fences with virtually no wild margins left for birds and wildlife. Is this the future? So much for Gove’s ‘green Brexit’ when cereal farmers post-subsidy will turn over every inch of their land and to hell with nature. Anyway out of the EU those pesky controls over pesticides will be lifted and production will be increased to make up for payout losses at no cost other than to our health and the environment. The UK government says it will retain subsidies until 2022 by which time the money will have run out. In free-for-all post-Brexit Britain agriculture crops will be even more intensively sprayed with pesticides in attempts to compete with the big boys and will fail because then we will be the little brats. Our grass reared cattle and hill sheep will be reared for a niche market for they will be too expensive for most of us who will have to tuck into US beef pumped full of growth hormones, chlorine washed chickens and Frankenstein GM foods of every description. Gove’s green Brexit Britain will be a poorer and nastier place with horrible unhealthy food where the government will have to sit down and negotiate support for food producers at levels that will enable them to compete not only with the US but the EU as well. Last time the UK government stopped subsidising farming agricultural wages fell by 40 per cent in 12 months and then the threat to British cereal producers didn’t come from the US but from Canada. As a consequence people were thrown out of work, poverty increased and fertile land was abandoned and did not greatly improve until after World War Two with the introduction of guaranteed prices. Back at the list at least one 14 year old received CAP payments but that’s not a category I could fit into although two folk over 100 years old also made it in so there’s a ray of hope for me. 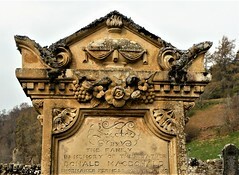 The centenarians were both dead – hope for us all – although if I were a farmer, especially a crofter or hill farmer in Scotland, I would be very very worried as 2022 approaches. The wee village of Alford in Aberdeenshire is very fortunate in having two great museums in its midst. Many know of the Transport Museum but fewer have heard of Alford Heritage Museum which gets very little attention from the outside world. When I googled museums +Aberdeenshire up popped Aberdeen City museums onto the screen. So then I googled Aberdeenshire Council’s website pages on leisure, sport and culture/museums http://www.aberdeenshire.gov.uk/leisure-sport-and-culture/museums and this came up! Inspiring it is not. I have to say Aberdeenshire Council’s website is unremittingly uninspiring, dull and monotonous, not to say unfriendly. Delving deeper and it offered Aberdeenshire Farming Museum – the excellent Aden Country Park but I happen to know there is another one – Pitmedden and, of course, the gem that the Shire does nothing to promote is Alford Heritage Museum. Alford Heritage Museum of rural life is packed and I mean packed with an impressive array of agricultural implements and working machinery as well as rooms dedicated to a number of specific interests including a smiddy, general store, schoolroom, farmhouse kitchen and the poet Charles Murray. Why on earth does Aberdeenshire Council continue to ignore this museum? Why have local councillors not pushed it give it a higher profile? One I know of still standing in the forthcoming election used to be on the museum’s board! Alford Heritage Museum contains arguably the best collection of farming and other memorabilia in this part of Scotland – the whole of Scotland for all I know. It is run on a shoestring by a dedicated team of volunteers and reopens after its winter closure on Saturday 1st April and from then is open every day except Wednesdays. Working the land stretches far back in time in the Howe o’ Alford. It is here that Aberdeen Angus cattle were bred. The museum houses an impressive collection of farming implements and machinery, many working as well as artefacts from the various trades vital to the area. Local retired farmer Leslie Angus has recently given them an old horse-drawn threshing mill built by J&T Young of Ayr which will be displayed for the first time this year. The museum has been around since 1991 when it opened in Alford’s former cattle mart. It contains a small library with some really fascinating photographs and documents donated by people from the Howe o’ Alford including a collection of Aberdeen Angus and Clydesdale Horse Stud Books dating back to the 19th century. Twice yearly farm servants and farmers gathered at feein’ markets around Whitsunday and Martinmas to settle who would work where for the next six months. In this part of the country they lived in shared accommodation in tiny bothies or in the chaumer, a room above the stables. Souter is the Scottish word for the English cobbler or shoemaker. Thrashing machine (modern name is threshing machine) for separating seed and husks from harvested grain stalks. Thrashing machines and binders which cut and gathered barley and oats have been replaced by huge combine harvesters. 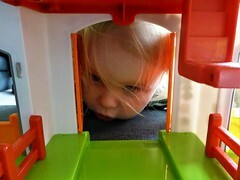 The pictures show some of what there is to see. Give yourself and your family a treat by paying a visit to Alford Heritage Museum – you’ll come away with a smile on your face. Lord Belhaven’s pamphlet, The Country Man’s Rudiments, or An Advice to the Farmers of East Lothian how to labour and manure their grounds (1699) must be in with a shout for longest title ever. This so embarrassed Belhaven he published it anonymously. But let us start with another famous name. Sir Archibald Napier is mostly known for his associations: his father was the illustrious mathematician, physicist and astronomer, John Napier, who invented logarithms and an early calculator known as Napier’s bones; his wife, Margaret Graham, was a sister of James Graham, 1st Marquis of Montrose – the Covenanter leader who turned. Archibald himself was a judge and politician at the time of the Union of Crowns and he was among the coterie who accompanied James VI to England to be crowned king of England and Ireland. 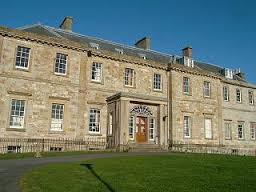 The Napiers’ estate was Merchiston at Edinburgh and Archibald thought he understood enough about agriculture to offer advice to others in the shape of an early publication on husbandry. Essentially his message was to dose cultivated land with common salt. It is not clear why he came to this view and it is doubtful anyone who worked the land would be persuaded to try this out but it did impress King James VI. Now I know little about James other than he was the son of Mary, Queen of Scots and went on to become king in England and Ireland as well as Scotland at which point he was demoted from VI to I, oh, and that he was too lazy to get off his horse to take a pee. But so impressed was he with Archie he awarded him a 21-year patent to liberally sprinkle salt from one end of Scotland to the other. Scottish agriculture is not what it used to be, and if Napier’s practice is anything to go by then it’s just as well. Back in the 16th and 17th centuries life was mostly lived locally, apart from men called away to fight to defend someone’s else’s argument, and food was what you produced within your communities. Nowadays much less importance is placed upon agriculture within Britain – far less than elsewhere in Europe. That said there are parts of Scotland where agriculture still dominates the landscape and is vital to local and national economies: Aberdeenshire, Galloway and Orkney for example. Back in Napier’s time there were the beginnings of agricultural ‘improvements’. Improvements is a loaded term I know which benefit some and are detrimental to others. Scotland adapted more slowly to new methods of farming than England and parts of the Continent but once she caught up Scottish improvers transformed how land was worked, how it looked and the relationship of rural dwellers with it; some of the best agricultural innovators in Britain coming from this part of the country. Scotland, as we know, is hugely varied when it comes to how land is owned and worked with major differences between the Lowlands and the Highlands; partly as a consequence of the terrain and partly from the inheritance of the organisation of land where Highland estates were changed irrevocably following the Jacobite Risings of the 18th century when land confiscation was rife and and clan relationships destroyed. Times were transforming in other ways with the industrialisation of Britain establishing new ways of living; becoming dependent of earning a wage to buy food instead of growing it being one obvious change. And for those who didn’t move to town to find work in one of the new manufactories how they engaged with the land altered, how they were housed, how they were paid as well as what was grown on the land. The number of printed works promoting new methods of farming increased from the 16th century, at first often written by owners of land, such as Napier, but in successive centuries others developed the confidence to air their opinions. An early writer was Thomas Tusser who gave us Five Hundred Points of Good Husbandrie in 1599. I would have thought one hundred ideas might have sufficed to get farming off to quite a good start and, well, five hundred seems a little excessive. Given there are only 365 days in the average year it would take a farmer one whole year to get through a mere 73% of his suggestions, assuming he or she was adopting one per day, by which time it would be time to start back at number 1. Few Scottish farmers fell for his multiplicity of advice but Tusser proved a bit of a hit in England’s shires and his book went on to become a best-seller in South Britain. Tusser is also remembered (or Googleable) for coining the adage: A fool and his money are soon parted – whether that was a comment on those who bought his book or not we can only imagine. Proving far more popular back in Bonnie Scotland was advice from John Reid, a gardener to Mackenzie of Rosehaugh, by Avoch (for all you non-Gaelic types Avoch is pronounced Och). Reid’s book admittedly was on gardening but he included observations and suggestions on growing crops so its inclusion it justified. Reid’s book became so popular it was reprinted in many editions following the initial 1683 print-run. Just squeezing into my list is a guide by anonymous from Aberdeen who in 1684 published a directory of annual fairs and weekly markets (faires and weekly mercats) across Scotland – and I wish I had a copy of it. A trickle of advice grew into a veritable torrent of publications, each offering instructions on everything from the best way to feed the infield -as much manure as can be fitted onto a muckle graip seems to sum that up – to using the outfield to grow flax and hemp which was essential for homespun fabrics and later for commercial textile production (I have an ancient mortcloth spun from home-grown Black Isle flax and home woven by my greeeeeaaaatttt-something Granny -obviously surplus to requirements). Of developing importance in this world where eating flesh was a rarity for the majority was the rearing and raising of cattle and sheep, for food, leather and wool and much else besides. Back to manure for a moment. James Donaldson, another laird’s son, published his Husbandry Anatomised, or, an Enquiry into the present manner of Toiling and Manuring the Ground in Scotland in 1697. 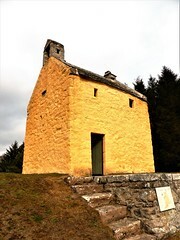 It was possibly written as a money-spinner for, despite being a laird’s son (or perhaps because he was the scion of a laird) James was no horny-handed toiler of the soil and his instructions were of very little use to those who were. When that sunk in and the book failed to establish his reputation, one that would do him any good, Donaldson thought he would become a merchant only to discover that trade was not what he’d imagined either so he offered himself up to the army of a King always referred to as William III – although in Scotland he was William II, running a poor second to William the Lion of the 12th/13th centuries – and he never gets demoted, unlike James the pee-er. Anyway, William was king of just about everywhere as well as oranges and lemons and he was evidently tight because he didn’t pay Donaldson who eventually said sod this and made off, followed by his considerable debts and his creditors. Just think about this for a moment. King Billy II and III was forgetful about paying his soldiers, certainly Donaldson who ended up owing money to folk who provided him with food and other stuff and was therefore in debt. Donaldson’s debt came about, partly because he wrote a bad book on agriculture but also because King Billy didn’t pay him. Yet no-one hounded King Billy the Freeloader for not paying his debts, they were only interested in pursuing Donaldson (and other Donaldsons). Debts, you see, become less of a crime the greater your status. His gross toadying made no difference. The book, as they say, bombed … as did his poetry… but that’s another story. However it would be wrong to dismiss his work entirely for Donaldson did strongly advise manuring the infield – the one-third of land nearest the house that was best cultivated – and rotating its crops of oats, barley or bere and peas. As for the farther off ground, the outfield, he recommended resting fifty percent of it for two consecutive years to recover from cultivating oats on its less enriched soil. Other helpful ideas Donaldson discovered abroad included providing shelter for beasts (now often lacking in Scotland with wire fences replacing stone dykes) during bad weather and enriching the land with marl, seaweed (sea-ware) and lime as well as promoting the planting of the new vegetable called potatoes and specialist grasses and clover for grazing and replenishing exhausted soil. And good lad that he was, he criticised the Scottish habit of weaning lambs at around four week so farmers could get more milk from ewes for cheese-making, and which he claimed led to high numbers of deaths among lambs. Donaldson was spot-on too in criticising short leases for tenant farmers who then had no incentive to improve their fields as any improvements they made would be enjoyed by the next tenant in line. I haven’t forgotten about Belhaven, it’s a name that lives on, if for different reasons. Belhaven had, as a member of the Scottish Privy Council (this is before all that Union malarkey) had been one of a group of prominent men who asked King William the Orange to run Scotland and he joined the Orange King’s army but it appears any time was too long in the company of the old fruit and Belhaven became ‘a passionate opponent of the Union’ who could see where that small clique of prominent Scotsmen, the Squadrone Volante, who forced through the Union against popular opinion were leading their country – to obscurity and foreign taxation. Such was his passion, they (the new Great British state) arrested him for expressing his opposition to the Union and hauled him off to London where he was treated so abominably, it’s said under pressure from members of the Privy Council, that he died in July 1708 aged 51. His legacy was a powerful, if futile stand, in defence of Scotland’s continuing independence and a successful book on husbandry which went into several editions. He reiterated the need for land to be fed to support annual crops and advocated cultivating turnips, as animal fodder, and the potato. Belhaven was also concerned over tenant farmer poverty and debt – suggesting rents should be paid partly in kind, with grain as they were traditionally, but partly with money for as he explained a laird might take all or nearly all the crop during a bad growing season leaving the tenant and his family to starve. William Mackintosh was 10 years old in 1672 when he travelled from Borlum in Inverness-shire to study at King’s College, Aberdeen’s first university. He would go on to tour the Continent and England, eventually returning to Scotland, to Alvie near Aviemore, where he took over a farm and incensed his neighbours by experimenting with enclosures – closing off pieces of land into separate fields as opposed to the traditional open areas of infield and outfield through which animals could roam and graze on growing crops. The hedges he planted to divide up his fields were ripped out and the banks he built for the same purpose were broken down by angry locals who wanted to retain old and familiar ways of farming. At the Jacobite rising of 1715 Mackintosh, as their Brigadier-General, raised a company of Mackintosh clansmen which occupied Inverness for a time before heading south by foot and sail to take Leith. From there they continued into England, rendezvousing with English Jacobites at the Border and onward to Preston. Captured, Mackintosh was taken to London and imprisoned in Newgate goal from where six-months later he and some fellow-prisoners overpowered their jailers and escaped. A £1000 bounty, something around quarter of a million pounds today, was put on his head but Mackintosh made it to France, along with his son. Within a few years he was desperate to return to Scotland but still outlawed he was forced to keep on the move for government forces were ruthless in tracking down and silencing opposition. Mackintosh was captured in Caithness and locked up in Edinburgh Castle where he remained until his death, many years later, at the age of eighty in 1743. But what about his book you are asking . An Essay on the Ways and Means of Inclosing, Fallowing, Plant, &c, Scotland, and that in sixteen years at Farthest, by a Lover of His Country was published in 1729 while Mackintosh was a prisoner in Edinburgh. In it he encouraged farmers to leave some land fallow before re-sowing it and he favoured growing wheat instead of the bere which was commonly grown in Scotland for its quick growth that required only a short season to mature. He too supported cultivating flax and hemp. Mackintosh also supported extending tenancy leases, to 19 years in his view, to encourage better use of land and appealed for an end to tenant farmers being forced to work their laird’s fields which took them away from tending their own land. And, of course, Mackintosh promoted enclosing fields, separating stock from arable farming. Adam Dickson, kirk minister at Whittingham, East Lothian thought he would add his penny’s worth to the farming debate and published a series of essays on the subject. His Treatise of Husbandry specified differences between farming in Scotland and elsewhere, with reference to the country’s climate and soil conditions. Dickson’s works took a more modern approach to land improvements, more scientific than anecdotal. Land-holding and social relationships on the land affected the development of agriculture in Scotland. The early 18th century was a period when the British state confiscated estates owned by Jacobite supporters of the ’15 and ’45. Following the 1715 Rising a commission of Scots and English was set-up to manage these properties and very quickly most of them were flogged off to a dodgy bunch of land speculators who went by the name of York Buildings Company for £411,000 and thereafter to the highest bidder. Mistakes were learned from that episode and following the ’45, land grabbed by the government and crown was managed entirely by Scots who were more sensitive to the complex relationships of tenants and their exiled lairds. As a result affordable rents were set, schools were built and local industries were introduced. When, in 1784, estates were restored to some of their owners the terms were not ungenerous although the estates commissioners continued to take revenue out of these estates to fund expensive projects such as the Forth and Clyde Canal, the building of Register House in Edinburgh and a payment of £3000 to the Highland Society. The agricultural revolution transformed food production in Scotland and as a consequence our relationship with land. Land-holding in Scotland is as relevant today as it was in the 18th century and what Scotland needs is another revolution – over the ownership of Scotland’s land. As for professional advice to Scotland’s farmers it still comes in printed form and over the past three hundred years a myriad of farming societies, some local others national. Over the past century guidance has come through the Rowett and Macaulay Institutes in Aberdeen and the Scottish College of Agriculture, now called something else and regrettably not the institution it was once but indicative of the reduced importance of agriculture in Scotland. 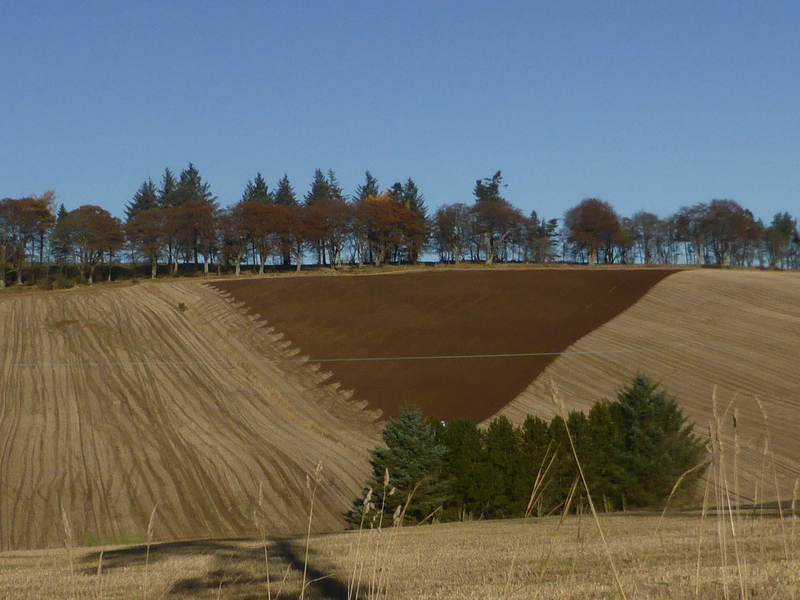 They’re Not Making Land Anymore – so what can the SRUC sell off now? Scotland’s countryside is an important contributor to the nation’s economy: cereals, potatoes, soft fruit, beef and dairy, sheep and forestry. These industries are vulnerable however – to fluctuating markets and weather certainly but what else? Where do young people go to train for careers in rural occupations? The time was when there were facilities fairly close to home for our rural youngsters to get the basics while still working on family farms, certainly at weekends. Unfortunately these facilities are contracting and the danger is some may disappear altogether. Whole experimental farms have been sold off for house building or golf courses at the same time our rural college offers its majority of courses not in any of Scotland’s mainstays of farming but in Scotland’s second biggest city, Edinburgh. The food produced in Scotland is renowned for its high quality and you might think it essential to reinforce this state-of-affairs through the provision of educational courses provided in just those areas where demand is greatest to learn rural skills and where back-up services are most needed. Edinburgh does not spring to mind for either of those. The body providing training for a life in farming and forestry is the Scottish Rural College (SRUC) which a couple of years ago morphed out of the Scottish Agricultural College (SAC) – an umbrella organisation for agri colleges across the country that had been established in the early years of the 20th century and were instrumental in the expansion of Scotland’s agricultural sector, based largely on pasture-reared stock. “Sheep and beef production from extensive systems is broadly speaking, environmentally friendly. Animal welfare is perceived to be of a high order and, coupled with images of fresh air, open hills and clean water, Scottish meat is seen as a high quality product”. House of Commons, Scottish Affairs Committee (1996). But not all is perfect with the SRUC which returned a loss for the last financial year – blamed on a number of one-off and merger costs, but contrived a 43% increase in pay for the principal and chief executive to £309,000, from £216,000 previously. The SRUC Chairman is Lord Jamie Lindsay. “a new alignment with the potential to create an influential force in the agricultural world”. And you and I thought good farming practice came down to a farmer being able to tell one end of a cow from another. The SRUC operates six campuses across Scotland – at Aberdeen, Ayr, Barony, Edinburgh, Elmwood and Oatridge plus a network of veterinary, advisory, consultancy offices and research farms, essential to the farming community. The provision is similar to what has long existed if somewhat curtailed in extent after years of pruning staff, courses, property and land – in a bid to balance the books. The model sought was smaller and sleeker and not so messily rural which is why the SRUC ended up as an urban institution, in one of the most expensive parts of Scotland. Scotland’s richest farming areas are found in Orkney, the northeast and southwest and rural communities in these parts were desperate to retain a close working relationship with the then SAC. What emerged was an extended internecine war over which campus would be the best headquarters and which would suffer greatest losses of land, buildings and staff in the drive for economic viability. This is curious. The SAC’s survival was surely inextricably linked to the success of its decisions and the attractiveness of a rural college is surely its usefulness to the people most likely to use it. Given the particular and differing strengths of agricultural industries across Scotland their needs will vary by area. The notion that the SAC had to survive at all costs is a peculiar one. If the SAC was not effective in responding to the needs of its industry then preserving it as an entity was never going to create a facility relevant to the future of rural life and industry. Deloitte and Touche (D&T) were employed to draw up a report to establish the situation within the SAC and its future options. D &T’s report threw up a list of justifications for situating Scotland’s rural college in its capital city as the best way forward rather than at one of its two main purpose-built campuses – Auchincruive, Ayrshire and Craibstone, Aberdeen. Brian Pack, former CE of the giant Aberdeen and Northern Marts (ANM) group argued for the retention of the Scottish system of integrating practice at the SAC – preserving a link between research and development and consultancy with teaching while the SAC sought to separate them out. He was a strong advocate for making Craibstone the lead campus for the SAC Scotland operation, not least because of its proximity to the rich farming lands of Aberdeenshire. Edinburgh, it was pointed out had no student accommodation on site and it would be difficult and expensive for students to find their own in the city. Craibstone was well-served with student accommodation, and its many students were able to combine studies with practical work at home, not possible for the majority from Edinburgh. Craibstone was also popular with students from the Western Isles, Shetland and Orkney because of the good transport links with these areas. Craibstone included several experimental farms distributed over a wide area as well as woodland in a prime location at the edge of Aberdeen. Was the D&T report projecting the outcome desired by the SAC Board? That was certainly the suspicion among many in the industry whereas it appeared the then Scottish Executive supported retaining the College as a cross-country facility. Given that the SAC was receiving 41% of its funding from Holyrood you might think that view should have carried weight. However Labour’s Rhona Brankin MSP appears to have supported the move to Edinburgh. It is not obvious how setting up in an urban environment was going to stop the loss of students and cash. Quite the reverse. At Ayr it was felt that decisions were being taken without consultation with ‘local stakeholders’ and that the detrimental impact on the Ayrshire economy was not given consideration. Auchincruive offered consultancy services, vet labs along with an experimental farm and brought in nearly 29% the SAC’s education income. Both Craibstone and Auchincruive provide courses from SVQs to BSc Hons level although more limited in university degree options than at Edinburgh. So there you have it – learning skills is so old fashioned – it’s all about personal growth blah, blah, blah. As for ‘Hub and Spoke’ – this is Edinburgh the hub and Auchincruive and Craibstone etc are the spokes. Which is fine except shouldn’t it have been the other way around with the concentration on rural rather than urban? You might be forgiven for wondering how this matches up with effective training for our young farmers … e-learning? really? Here’s a novel approach – do away with the need for e-learning and get students out into the field (literally). Or is that too radical? Forgive me but isn’t this exactly the setup for e-communication rather than practical skills? And while Edinburgh campus was close to those research bodies Craibstone was equally close to the Macaulay Institute(John Hutton), the Rowett and the University of Aberdeen and Robert Gordon’s University. He questioned whether staffing levels were right rather than D&T’s concentration on WHERE to put staff. And he questioned D&T’s favouring centralising the SAC in Edinburgh – arguing this WOULD have a negative impact on revenue so that the report’s assumption of their best option was unlikely to succeed. He suggested the report was coming on the problem from the wrong end. Instead of concentrating on the organisation of the institution it should have looked to the needs of ‘its customers’. Brian Pack pointed out the danger of being fixated by costs rather than value. A yes to that. Think about it if you were setting up an agricultural – let’s widen it – rural college would you opt to put it in the middle of a city? If there’s one thing people need it is food. There is surely great scope for further development of Scotland’s rural industries so how is it the institution on which so much of this future depends is in dire straits? Could it be the fault lies with the Board and decisions taken by it? Auchincruive and Craibstone were once major centres for learning for young men and women, many of them from farming backgrounds, in search of rural skills. Both colleges provided their localities with professional advice from experts in crop management, pest control, veterinary advice and so on as well as undertaking research programmes. But their farmland, woodland and many buildings were sold and with them so vital provision and links with the land. There’s an echo of the consequence of slicing away at our agricultural base in an academic paper on ‘Agriculture’s contribution to Scottish society, economy and environment’ (2001) from the University of Aberdeen which found that when Scots were asked to visualise ‘rural’ they conjured up images of a highland idyll – of mountainscapes – whereas in other parts of Europe the same question brought descriptions of things agricultural. While I might not be able to lay the blame for this diminution in awareness of our agricultural sector at the door of the SAC or SRUC or whatever they are likely to call themselves next week there were signals back in 2003 that not all was right. Both Craibstone and Auchincruive suffered draconian cuts in the SAC/SRUC drive to stop leaking cash. Slash and sell – the SAC saw a future in selling off farms and land and anything that stood still. Indeed could that be the reason Edinburgh won out as the SAC HQ – that campus had nothing to flog off whereas Craibstone was resource-rich and by selling its assets and those at Auchincruive the SAC was able to use the capital raised to reduce its losses. Had the decision been taken to abandon Edinburgh in favour of, say, Craibstone, there would be no such financial gain as the SAC there had virtually nothing to sell. However it was come to the decision was taken in favour of Edinburgh and the SAC now existed as a private company with charitable status. Its Principal and Chief Executives were appointees – by fellow Board members. There was also a tie in with the Anglian Water Group (AWG) hired to carry out some of the campus pruning operations. The SAC sat back and waited for the cash to drop into their laps. In 2007 merchant baker Lord Lindsay was appointed its chairman. Integration was the way forward. While the SAC was selling off property with one hand it was swallowing up various rural colleges, to mix metaphors, to mixed fortunes. Integration at any cost. Doesn’t responsibility for this absurdity rest with the Board? Critics of the way the SAC was run and now presumably the SRUC have made no impact on it. “On 19 January 2011, the then SAC chief executive told all 30 South Ayrshire Council Planning Committee members at a public planning meeting they were to disregard the testimony of the person nominated by the Ayrshire National Farmers Union to speak in opposition to SAC plans to ruin Auchicruive. There is no disguising discontent among the farming community over the role played by the organisation. The SRUC annual report 2013 shows the SRUC still selling off land at Aberdeen and Ayr to improve its net balance. The jargon seems to indicate we haven’t seen the end of mergers – or ‘merger synergies’ as stated in the report. The move to Edinburgh doesn’t appear to have been the answer to the SRUC’s problems. It appears caught in a cycle of cost cutting – to what end? Who and what are losing out to this crazy setup and how damaging is it for the future of Scotland’s rural industries? In its drive to attain university status has the SRUC lost sight of its basic function? Why was it able to become a private company answerable to none over its selling off once publicly owned resources? It bothers me that its Board members, apart from staff and student representatives are appointed. financial assistance from the Scottish Funding Council. That it is a registered charity therefore does not pay corporation tax. 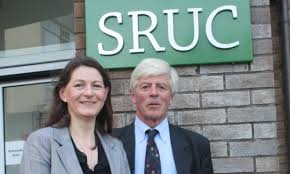 The SAC, and now the SRUC, was set up as a limited liability company under guarantee (without share capital). Many such conversions from public colleges to private have gone down a similar route but with Boards of Governors plus a CEO and Principal. The SAC chose to form a standard limited company with a Board of Directors. A board of governors allows greater opportunity for scrutiny of senior management. And it is cheaper than the SAC/SRUC setup as governors are paid a small stipend and expenses. An executive Board gets salary plus benefits – what they are is anyone’s guess. Board executive liability in the event of the SRUC becoming insolvent stands at £1 each. As there are no shareholders the Board can remunerate themselves to any amount they wish. There are stakeholders of course, who can attend the annual AGM and grand dinner, but they don’t get any vote on the issue of executive remuneration. There we have it. A rural skills college run from a city as a private business dependent on public money, paying no corporation tax and flogging off what were publicly owned assets. Nothing illegal about it but for the life of me I can’t see this model as being in the best interests of Scotland’s rural industries.